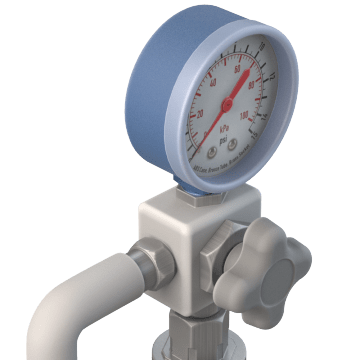 Measure pressure to monitor performance or uncover hidden issues in your industrial systems that use compressed air, pressurized water, oil, or gas, such as pumps, compressors, hydraulic equipment, and plumbing installations. 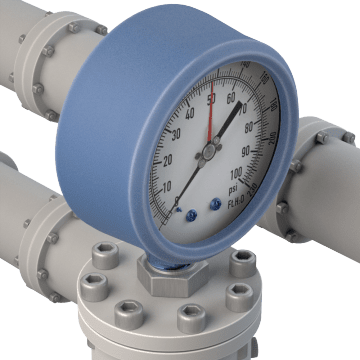 These gauges provide an analog readout of pressurized inputs. Use them with beverage dispensing and compressed air systems, boilers, bulk transport trailers, or in other nonspecialized applications. 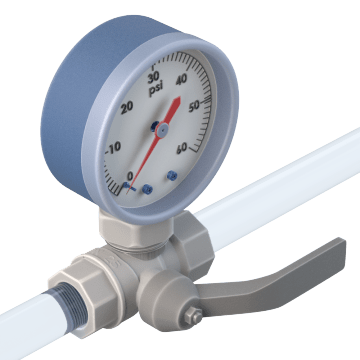 Check the water level in a water tank or test the water pressure in your facility to detect plumbing issues with these dual-scale gauges that measure pressure and elevation feet. Make sure your facility's sprinkler system will work effectively in a fire by testing the water or air pressure in the pipes. 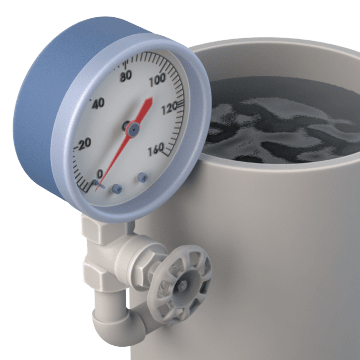 Use low-lead pressure gauges in installations where gauges may come into contact with drinking water, such as plumbing systems and water storage tanks. 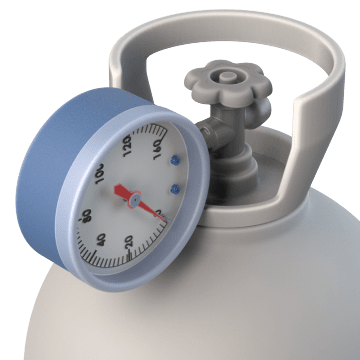 Check your low-pressure equipment such as respirators, air compressors, and air filters to monitor air flow or detect leaks. 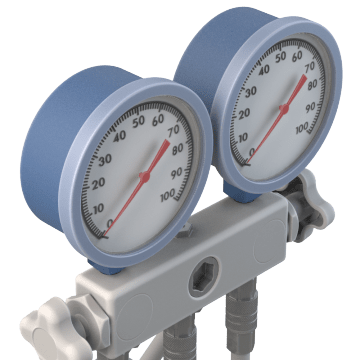 Also known as contractor pressure gauges, these gauges measure air, fluid, gas, and steam pressure and operate well in harsh, corrosive environments, such as in HVAC systems. 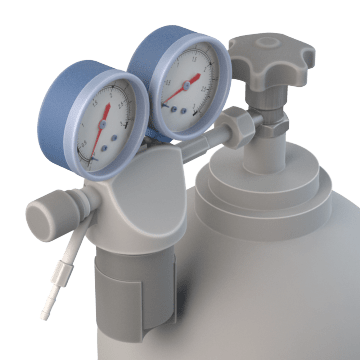 Cleaned without the use of oils and greases, these gauges help reduce the chance of combustibility in applications containing pure oxygen or high concentrations of oxygen. They are also vibration-resistant. 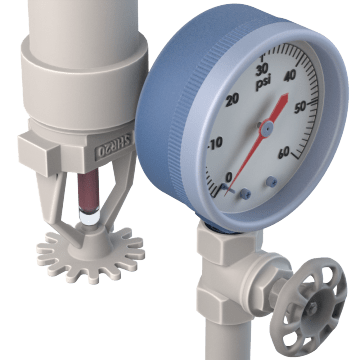 Designed for use in industrial processes such as refineries, chemical and petrochemical plants, and mining, these gauges withstand exposure to weather, chemicals, and other corrosive materials. 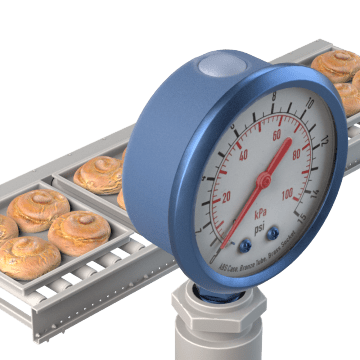 Commonly used in food and beverage or pharmaceutical applications, these gauges are designed to meet strict sanitation and sterilization guidelines. 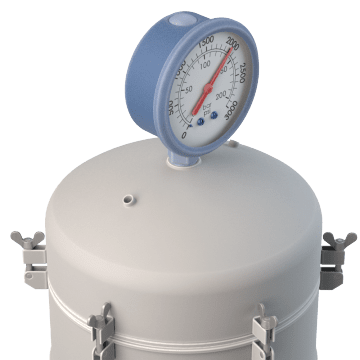 Test pressure of air, water, oil, and other non-corrosive liquids with these high-accuracy gauges that are intended for field testing and validation of industrial systems. 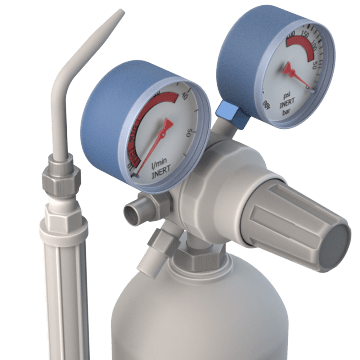 Monitor pressure changes in your gas supply while welding to help ensure smooth and controlled flow. 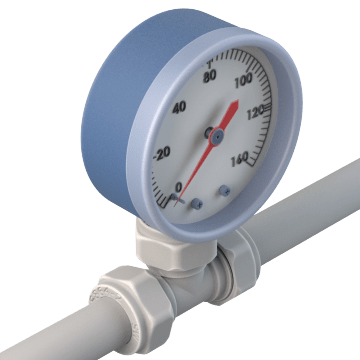 This gauge attaches to the gas regulator and indicates pressure changes as the gas is used. 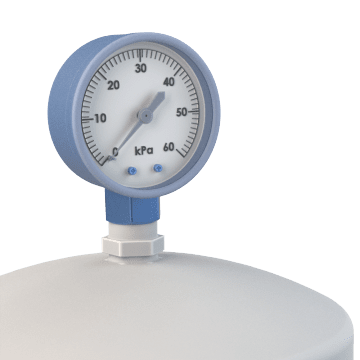 These gauges are equipped with a diaphragm seal (also known as a chemical seal) to protect against high temperatures and corrosive materials that may impact accurate readings. Use in harsher industrial applications such as chemical processing.